Tennis Channel is a superstar media company because it currently ranks as the fastest growing network in television due to their reach into 61 million homes. The year 2019 marks their 12th year covering the Australian Open and is sure help grow their skyrocketing subscription numbers. TC signed 5 million subscribers in December, 2018. The Los Angles based sport company has continued to leverage sports tech to entice new customers while keeping existing users satisfied. Since joining the NTI Nielson ratings measurement in January, 2017, they’ve added 17.7 million traditional pay-TV and streaming households. The Sports Techie community blog shares this data released today with you as I believe it shows not only is TC outperforming expectations but the sport is most likely on an upward growth pattern as well. In the two years since the NTI Nielsen ratings were adopted, TC has nearly 18 million new subscribers, making it without a doubt the biggest distribution growth of any TV channel during this period of time. Several factors stand out as to why this is the case. Tennis Channel produced more live coverage than any single-sport network in 2018, with 2,315 hours of matches (Nielsen nPower) for fans to watch on HDTV, mobile devices and computers. TC is giving fans what they want, how they want it and when they want it. Tennis Channel Plus digital streaming service also saw gains throughout the past year, with subscriptions growing 25 percent from the last day of 2017 to the end of 2018. The network service boasts a 51-percent renewal rate, metrics above the industry standard. While the average sports networks’ audience gender balance averages around 70 percent men to 30 percent women, Tennis Channel continued to have the most evenly balanced skew in 2018, with 50 percent male, 50 percent female among persons 2+ (Nielsen nPower). The resulting 41-percent increase in multichannel video programming distributors (MVPDs) and virtual multichannel video programming distributors (vMVPDs) spanning the last two years is significant in the media world as many struggled to overcome the steady loss of subscribers in the ‘cut the cord’ era we live in. To further meet viewer needs, an additional 400 hours of live competition is to be streamed as part of its year-round rights agreement with the Women’s Tennis Association (WTA). Tennis Channel’s distribution and digital success is not an accident. The sport itself is indeed on the way up as Nielsen SportsDNA data indicates making the TC’s efforts worth it. American tennis fans grew by an astonishing 37 percent from May 2013 to November 2017. During the same period tennis’ fan base added 20 million new fans, the most for any of the major sports. 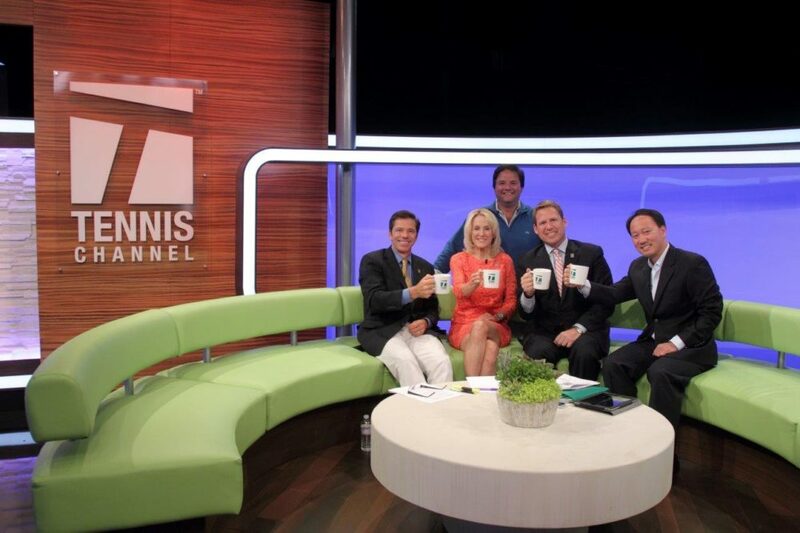 Tennis Channel (www.tennischannel.com), which is owned by Sinclair Broadcast Group, is the only 24-hour, television-based multimedia destination dedicated to both the professional sport and tennis lifestyle. 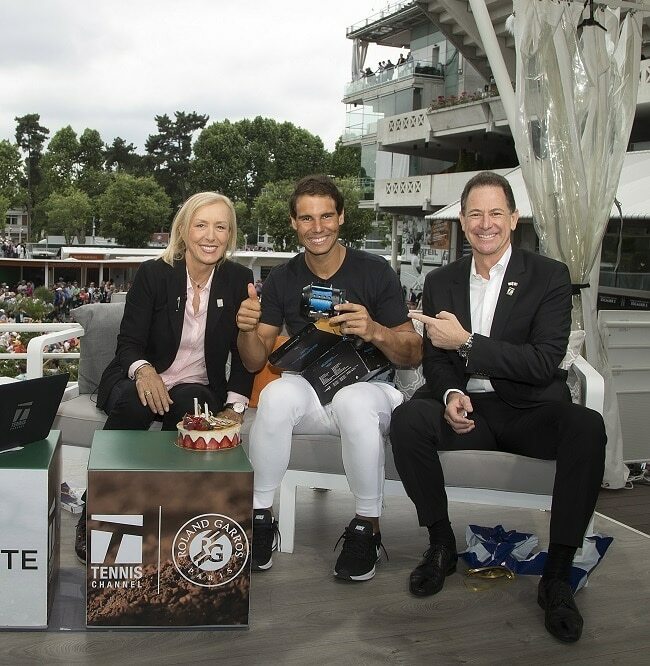 A hybrid of comprehensive sports, health, fitness, pop culture, entertainment, lifestyle and travel programming, the network is home to every aspect of the wide-ranging, worldwide tennis community. It also has the most concentrated single-sport coverage in television, with telecast rights at the US Open, Wimbledon, Roland Garros (French Open), Australian Open, ATP World Tour events, top-tier WTA competitions, Davis Cup, Fed Cup and Hopman Cup. Tennis Channel is carried by all of the top 10 video providers. Tennis Channel (www.tennischannel.com), which is owned by Sinclair Broadcast Group, is the only 24-hour, television-based multimedia destination dedicated to both the professional sport and tennis lifestyle. Sports Techie, face it. the women’s professional tennis tour is a major reason why tennis is on the upswing, and in particular, the play of the GOAT, Serena Williams. Like Tiger Woods did for golf or Ninja has done for eSports, Williams and her sister Venus have been and are still huge draws at Grand Slams and WTA tournaments. Serena is the only athlete on Forbes’ “World’s Most Powerful Women 2018” list. Add in she is the highest paid female athlete for the third year running and tennis indeed has an ambassador for the ages. If Serena is chief ambassador, that makes TC both king and queen of the sport. Women are a major reason why tennis has blossomed, the numbers don’t lie. Sponsors may want to reexamine their perspective on the ROI of tennis. Fans have more ways to consume tennis via TC than ever before. Now if only the United States could get a male player into the top ten … perhaps the Aussie Open is the showcase for this to happen. You better signed up now and watch the early rounds from downunder. The digital age has been kind to the sport, thanks to business pioneers such as Tennis Channel.